We landed around the same time, and flew together to Kahului. This is the beach behind the hotel we stayed at, at sunset. I had a stereotype that Hawaii is super hot all year round, but that was not the case, at least in November. I only had this flannel shirt that I wore endlessly during the trip. We took a boat tour to Molokini Island in the morning. Molokini is a small C shaped island surrounded by the beautiful ocean, where we snorkeled. The tour had helpful crews and they served lunch grilled right on the boat! 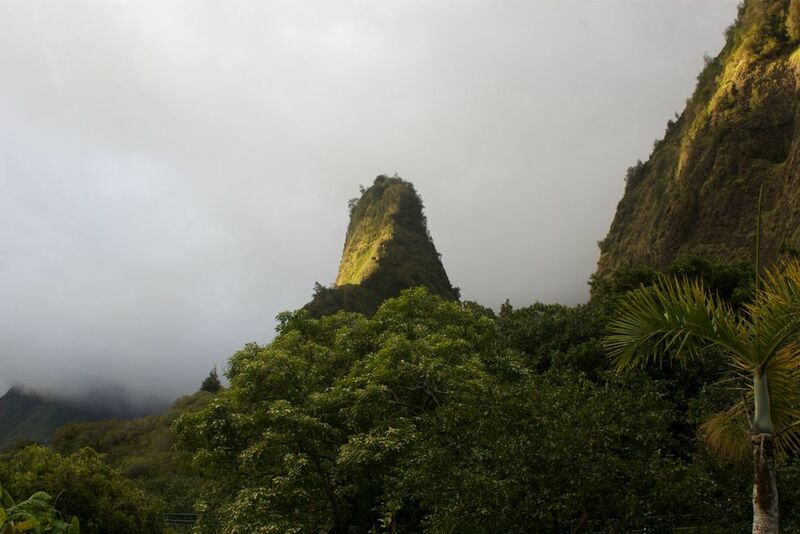 We also went to Iao Valley State Park, which is home to the Iao Needle rock pictured above. There are also hiking roads that we walked around just to enjoy the nature. We woke up at 4am to drive to the summit of Haleakalā. We got there when it was still dark, and gazed at the stars for a while before the sun started to rise and we realized how high we were... we were higher than the clouds! It's funny how we were snorkeling in our bathing suits, the next day we were freezing in our snow jackets... that's how much there is to see in Maui. These are my day and night outfit for the most memorable day of my life. I got engaged on the beautiful beach on Ritz Carlton :) Then, off to dinner at Merriman's. It's definitely a must if you're ever in the Kapalua area! A big big thank you to the love of my life for choosing me, and making my dreams come true!